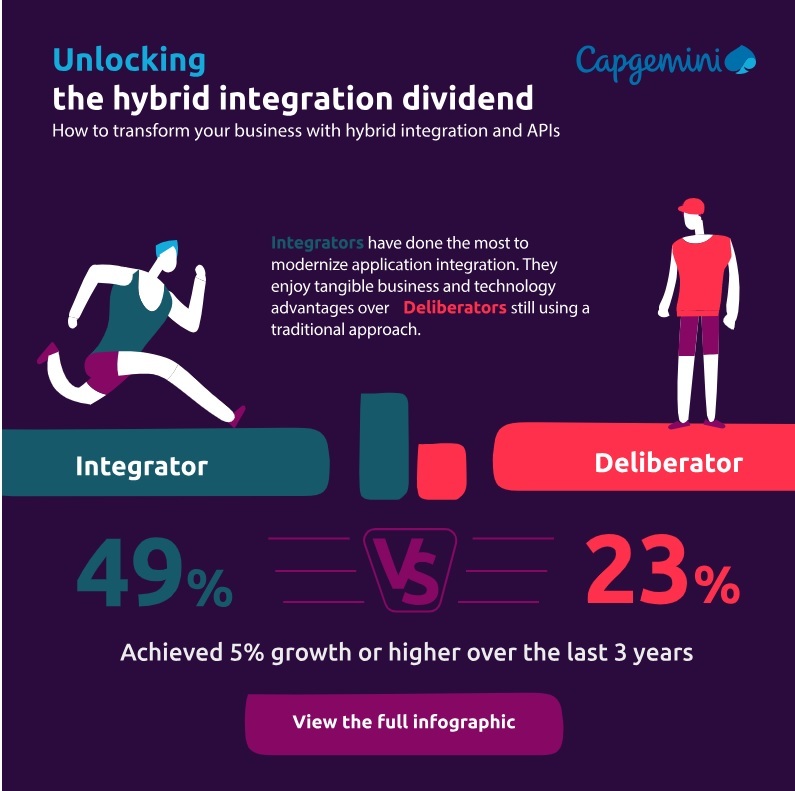 According to Capgemini’s latest survey of 818 IT executives working in organizations with revenues over €500mn, a modern API and hybrid integration approach is helping companies reduce time-to-market, adopt new technologies, explore new revenue streams and achieve superior revenue growth. Join the API economy and enable digital transformation to proceed at pace. Read our latest research report on APIs and hybrid integration, to identify a transformation roadmap that is tailored to your business and technology priorities. Integrators are getting ahead- from creating new revenue streams, launching new products ahead of competition, to integrating new technologies like IOT and building new services as composite applications. View the full infographic.